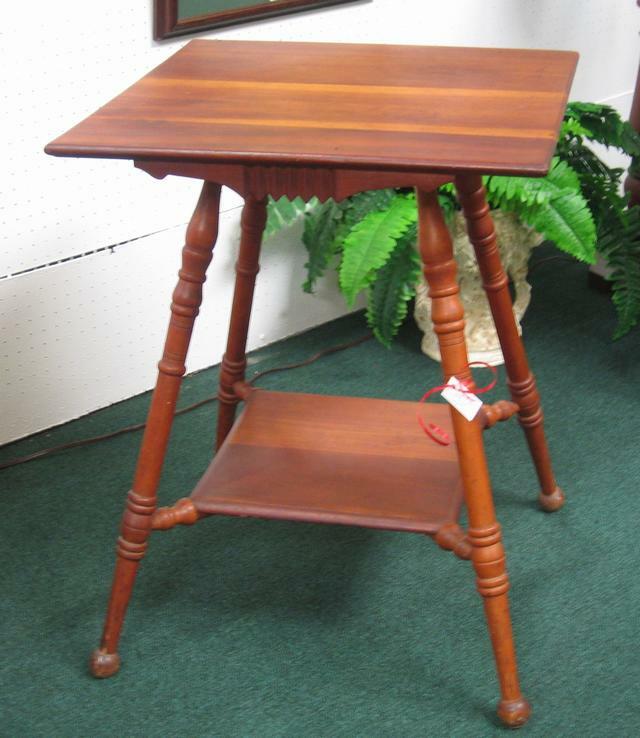 This Walnut Lamp table was produced in the early 1900â€™s. This piece measures 22 inches wide, 22 inches deep, and 28 inches tall. If you have any questions please contact Donna Eke(Dealer #389). Booth Number: G13, G12, and H8.